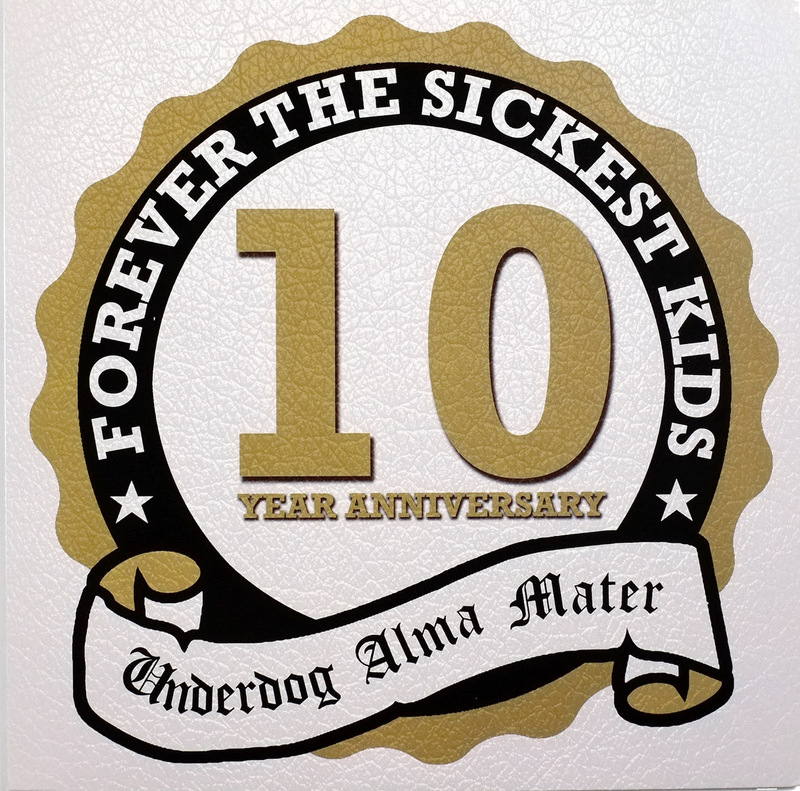 Forever The Sickest Kids and Field Day Records are celebrating the 10 year anniversary of the band’s debut breakthrough LP, ‘Underdog Alma Mater,’ by releasing the album on vinyl for the first time ever. This release is limited to 1,000 copies on gold colored vinyl and comes with brand new artwork and lyric sheet insert. The release is available for pre-order via Field Day Records online store now. The record will start shipping on Friday, October 19th. 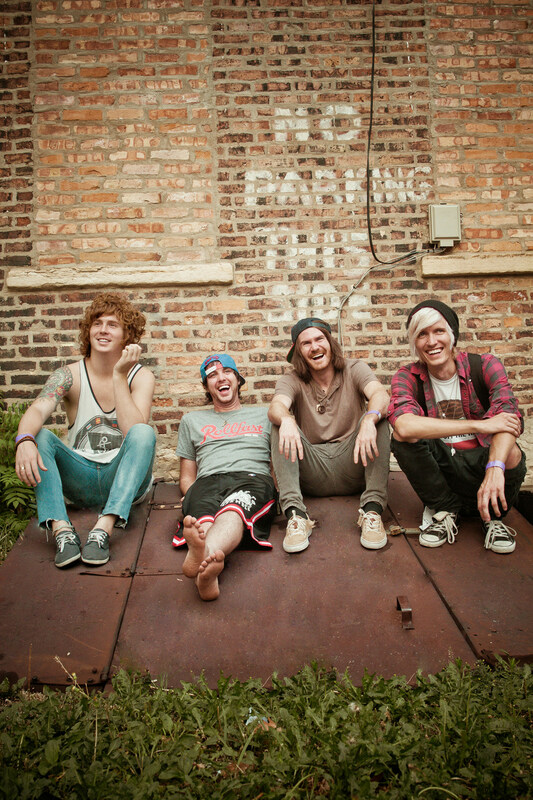 Comprised of Jonathan Cook (Vocals), Kyle Burns (Drums), Austin Bello (Bass/Vocals), and Caleb Turman (Guitar/Vocals), Dallas, TX pop-rock quartet Forever The Sickest Kids has been garnering fans globally since 2006. Produced by Matt Squire (The Used, Taking Back Sunday), David Bendeth (Paramore, Breaking Benjamin, All Time Low, A Day To Remember), Matt Mahaffey (The Sounds, Hellogoodbye), and Jeff Turzo (Bloodhound Gang), the band broke into the independent music scene with the release of their first full-length ‘Underdog Alma Mater’ (Universal Motown) in 2008, which was succeeded by sophomore self-titled album, ‘Forever The Sickest Kids’ (Universal Motown) in 2011. The power-pop ensemble has toured alongside such acts as Third Eye Blind, Simple Plan, All Time Low, Good Charlotte, Breathe Carolina, and more. The band has also been featured on multiple installations of the Punk Goes..series as well as collaborated with teen sensation Selena Gomez. Having press support from MTV, Seventeen, J-14, and Alternative Press among others, Forever The Sickest Kids has performed on the Alternative Press and Vans Warped tours.